If your favorite cup o’ Joe is a pour-over you brew yourself, the BRuX coffee mug will be your go-to when you’re on-the-go. It’s a vacuum-insulated 20-ounce steel mug & self-contained brew system with a standard cone coffee filter holder that nests inside. Pop in a filter, add coffee & water. Done. 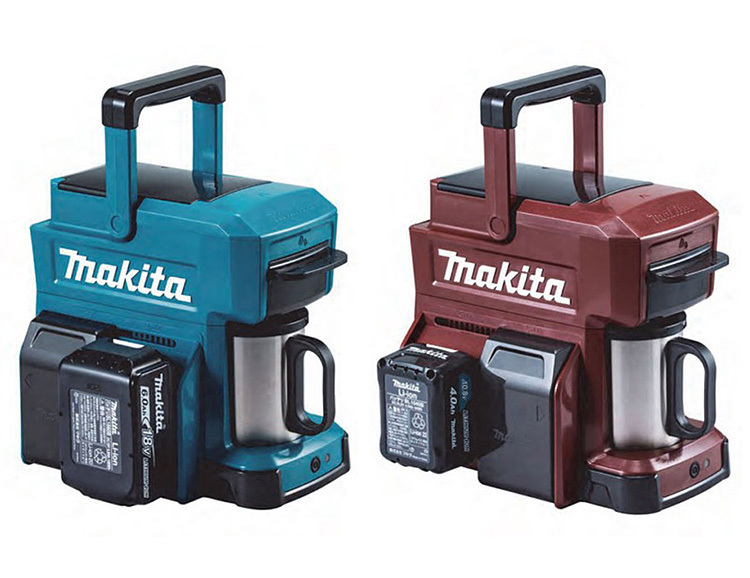 Makita makes just about every power tool you’d ever need but with the new 18V battery-powered CM501D, they’re now brining caffeine to the construction site or picnic, or campsite, etc. 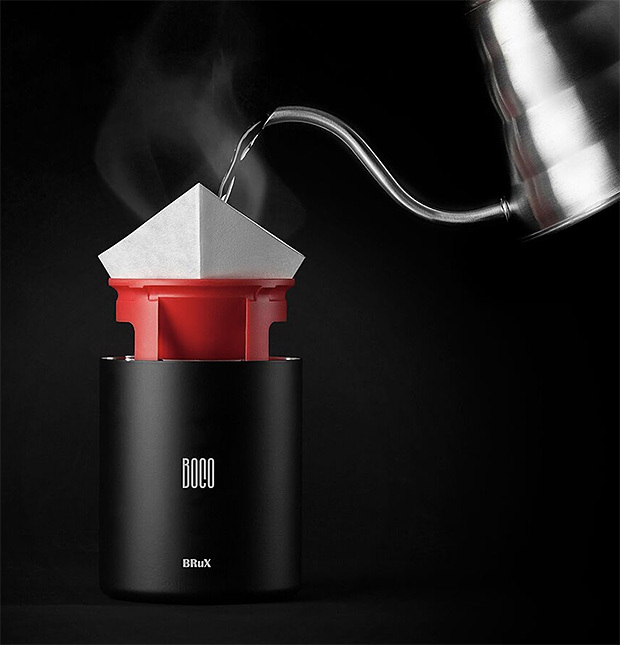 It’s a heavy-duty portable coffeemaker that can brew 5.3 cups of coffee on one charge. Available in Japan to start. 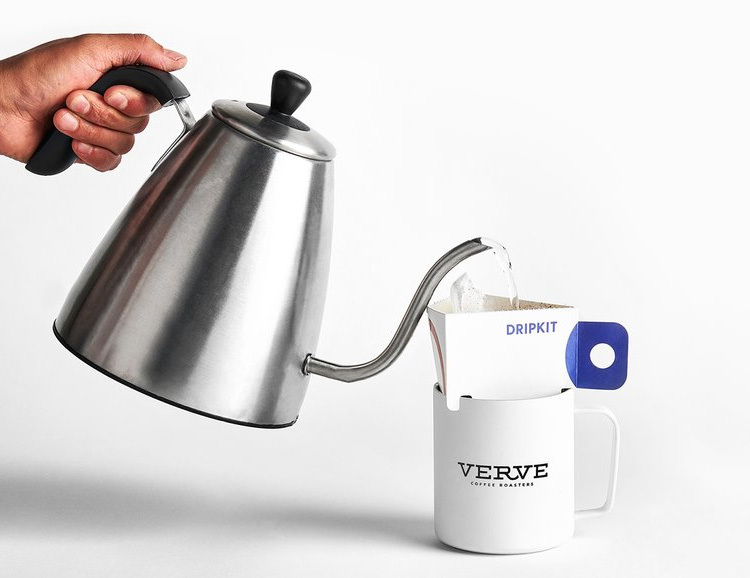 NorCal-based Verve Coffee Roasters teamed up with Dripkit to create a ready-to-brew single-serve pourover for an epic cup anywhere you roam. Each Verve x Dripkit contains 15 grams of freshly roasted coffee in a perfectly packaged, single-serve pourover brewer. 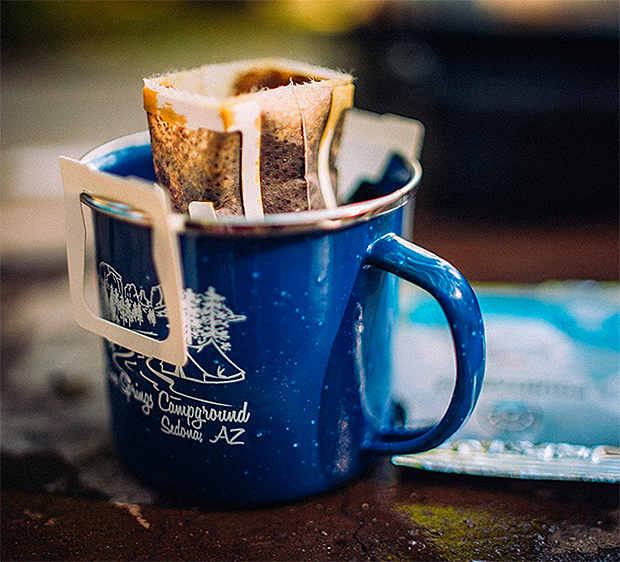 Just add hot water and you’ve got premium quality coffee in two minutes flat, wherever your adventures take you. Choose from their Duramina or Seabright roasts. This is the only guide you need to find a proper cup. 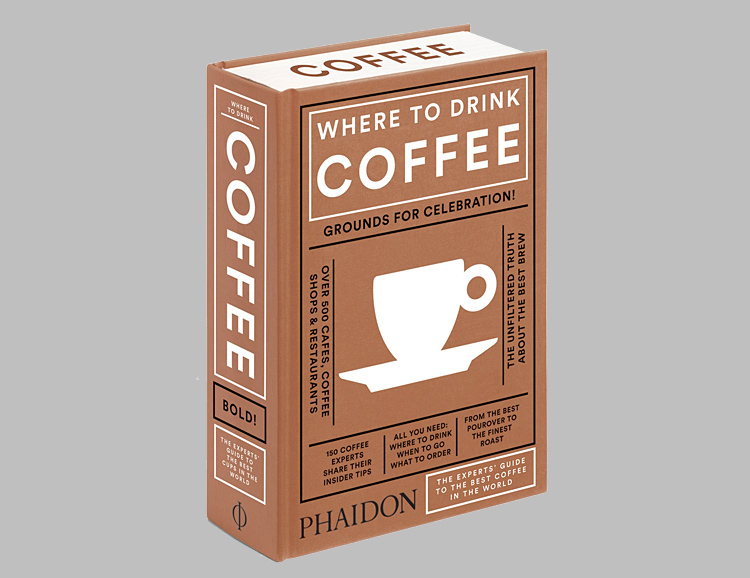 In Where to Drink Coffee, 150 top baristas and coffee experts share their secrets: 600 killer coffee spots across 50 countries. From cafés, bakeries, and restaurants to more surprising spots—a video store and an auto shop, the recommendations include insightful reviews, key information, maps, and easy-to-navigate geographical organization. Sudden is a synonym for instant. And Sudden Coffee is instant coffee. But not like the old stuff; it’s got flavor. Complexity. Depth. 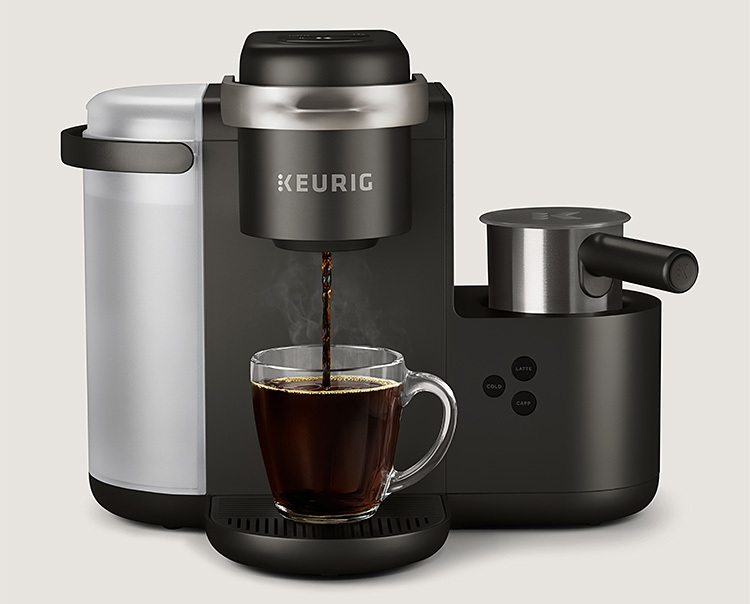 It’s pour-over, cafe quality coffee that requires just hot water—no brew time. 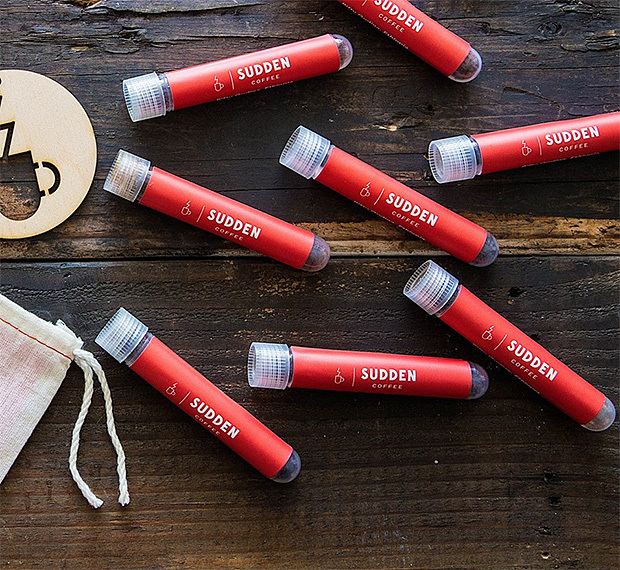 Sudden is available on a subscription basis featuring a rotating monthly offering of new & different high-quality roasts. 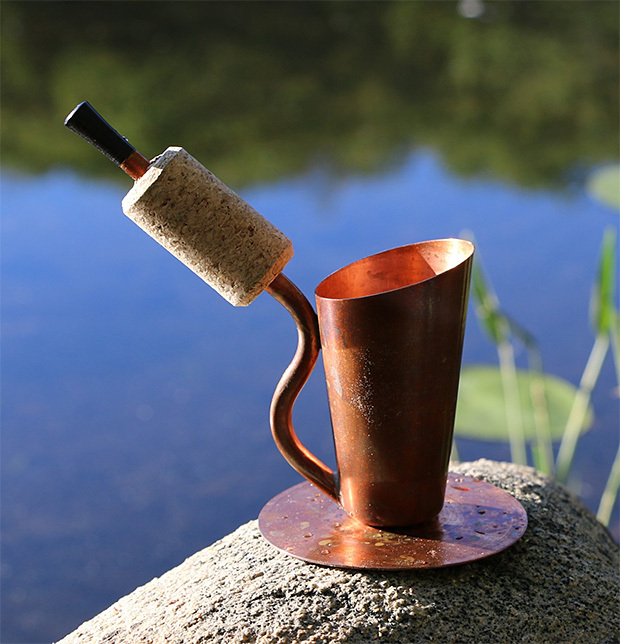 A simple, portable coffee maker, the Bripe is made of spun copper with a minimalist design that allows you to brew and drink your coffee in one small vessel. The water is heated using a blue-flame torch and makes a nice hot shot in just minutes. When it’s ready just sip from the straw. 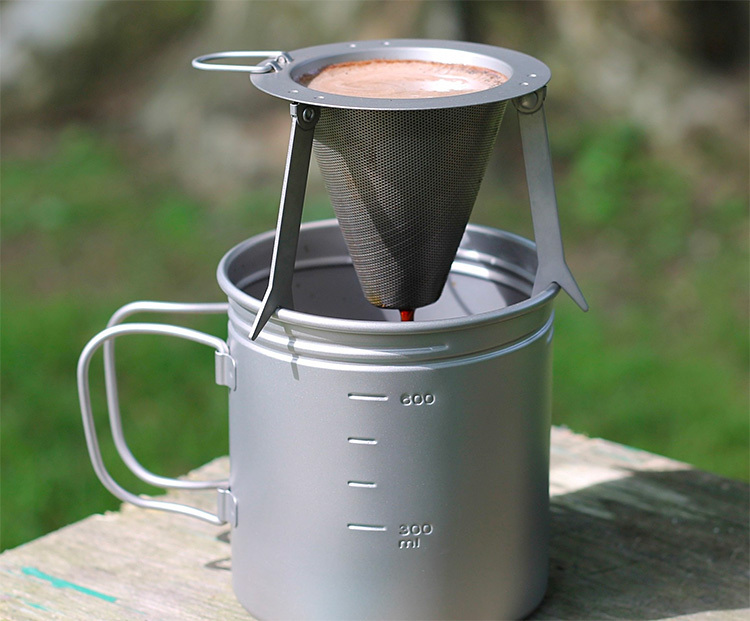 The Titanium Coffee Filter from Varga Outdoors is a high-quality, super lightweight implement for making legit camp coffee. It’s made of 100% biocompatible Ti, features durable, double-mesh construction, and has 3 talon-style folding legs that allow it to fit cups & mugs of all sizes. There’s also a handle for lifting it off the mug so you don’t burn your fingers. Weight: 1.27 ounces, so basically, nothing. As we head into the warmer weather, the idea of icy cold brew coffee on tap in the fridge sounds pretty chill. 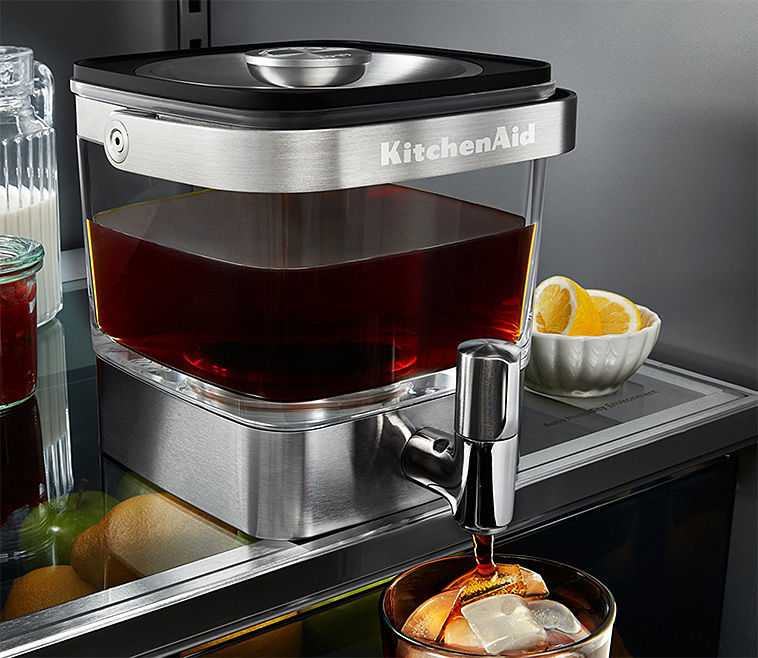 This stainless steel & glass in-fridge cold brew coffeemaker from KitchenAid can do that. It makes up to 14 servings per brew. Simply fill with coffee and cold water, steep, & enjoy. You’ll sleep when you’re dead, right? Okay, so to make sure you’re wide awake until then, order up some Black Insomnia, officially the world’s strongest coffee. Proven by independent lab results and confirmed by the Caffeine Informer, it contains a minimum of 702mg of caffeine per 12-ounce cup, so it’s 6.3% stronger than the previous strongest coffee. Available for delivery worldwide. 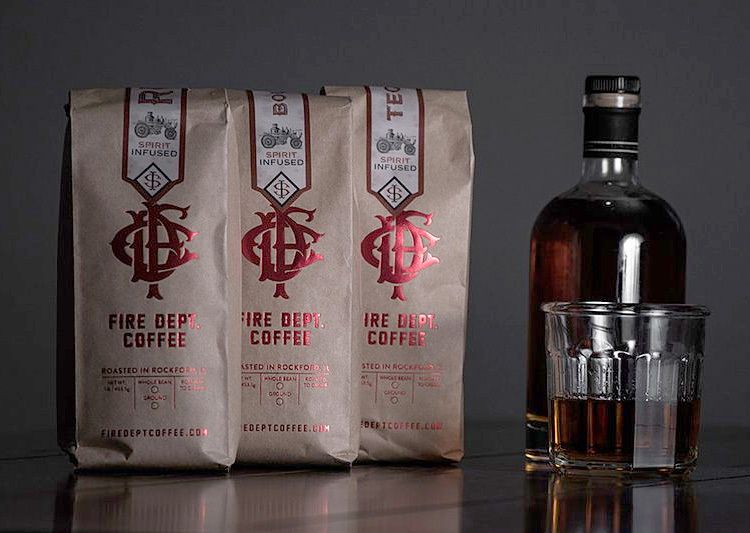 Roasted to order by real-life first responders, Fire Department Coffee Co. was founded by firefighters on a mission to make the easiest drinking coffee for our nation’s hard-working men and women. 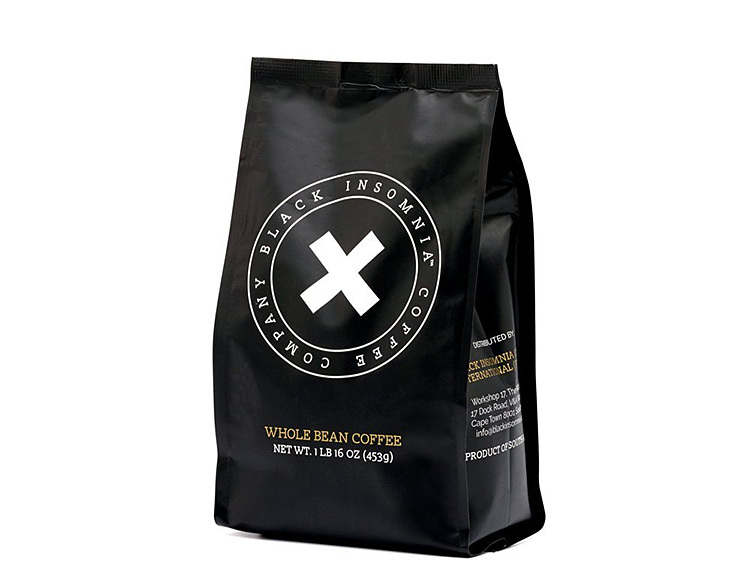 Roasted in small batches in Rockford, Illinois, it is available in a variety of flavors, including a bold Dark Roast as well as bourbon, tequila, & rum-infused varieties. Enjoy it at home or in the most demanding caffeine-intensive work environments & buy it by the pound, 6-pound firehouse-size bags or in K-Cups. You really can’t camp without coffee. Snow Peak knows this, that’s why they created the Field Barista Set. 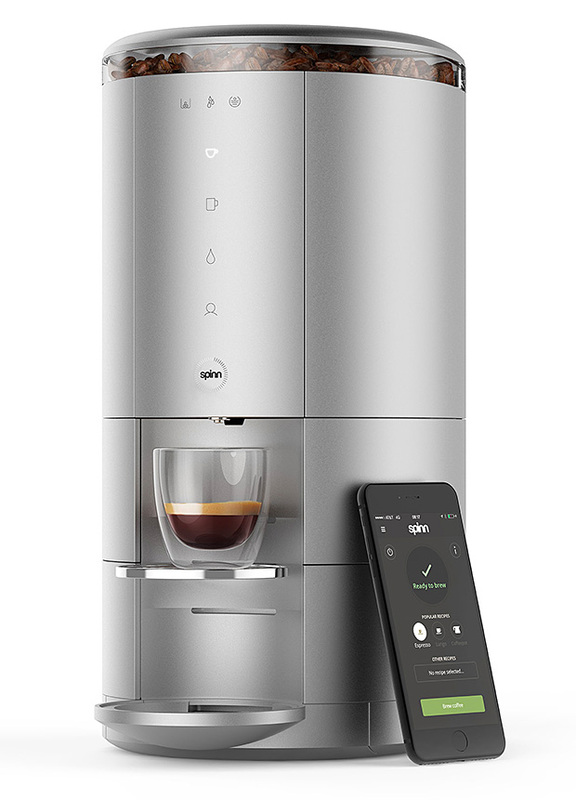 It includes a stainless steel kettle, coffee grinder, a collapsible single-cup filter drip, and their 15-ounce double-walled Titanium 450 mug. All the essentials, light & packable, for the perfect cup anywhere. 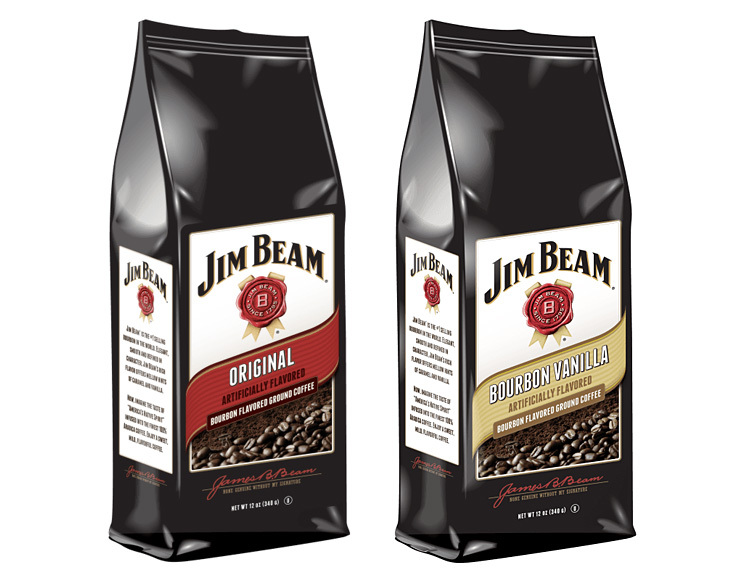 Several varieties of 100% Arabica coffee bearing the Jim Beam name is the latest brand extension from the world’s #1 bourbon producer. Infused with the essence of Beam, the coffee is available in whole bean form as well as K-cups and comes in 5 fragrant flavors: Original, Bourbon Vanilla, Signature Dark Roast, Cinnamon Stick and Spiced Honey. This is a non-alcoholic product. Sorry. 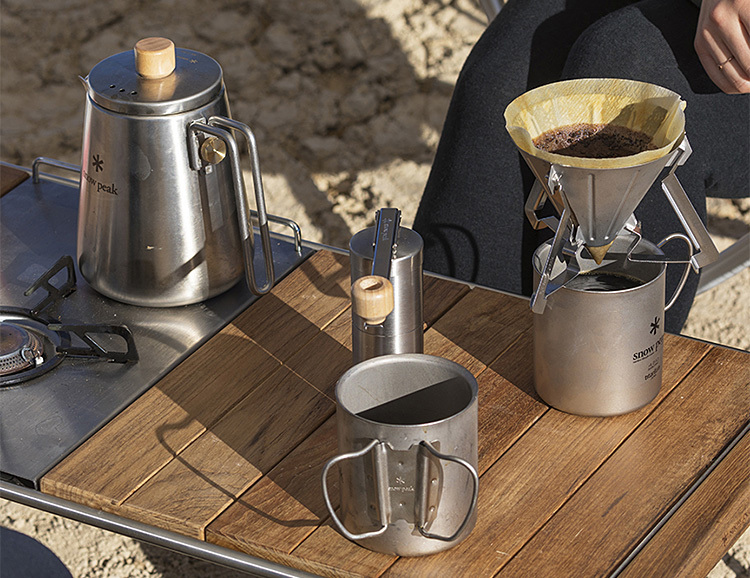 When you’re traveling, camping, or waking up in far-flung places, getting that morning dose of high-quality coffee can be difficult or just too complicated. But with Pourtables, you get a single-cup of gourmet organic & small batch craft coffee in a simple, portable pouch. Just add water. Pourtables are sold in packs of 10 and for every box you buy, the company provides clean drinking water to people in need. With just the flick of a finger, the retractable blade of the Maker EDC knife is deployed & locked into position. 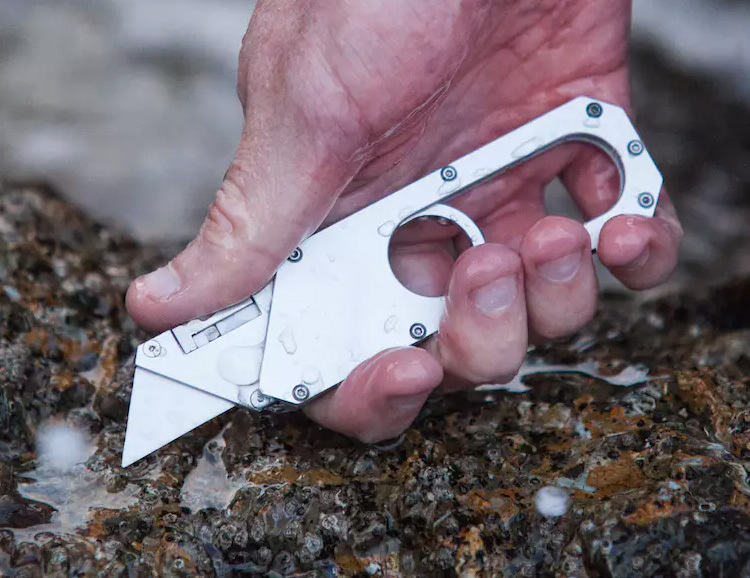 Created by artisan knife-maker Giacomo Di Muro, it is crafted from aluminum & stainless steel & features a pocket clip. It uses ceramic utility blades which can be easily replaced when dull or broken. 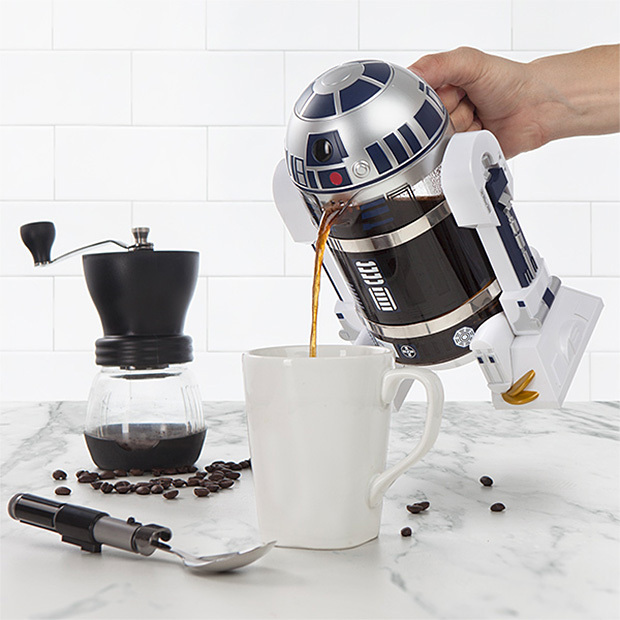 The officially-licensed Star Wars R2-D2 coffee press holds 32 ounces (4 cups) of your morning fuel supply. R2’s body is made of BPA-free plastic, the removable carafe is made of glass & dishwasher safe, and the plunger is made of food-grade stainless. Stands 9” tall. 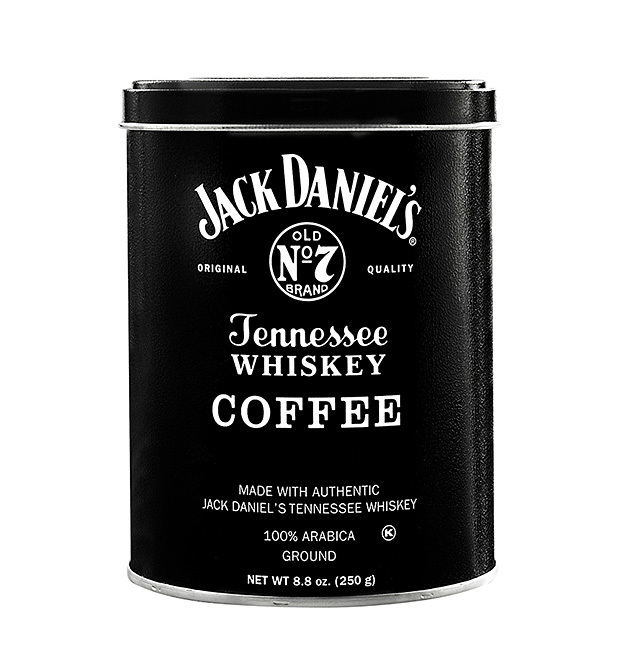 Infused with a just a hint of flavor from the original Old No.7, Jack Daniels coffee is a medium roast ground Arabica, available in regular and decaffeinated, and packaged in 8.8 oz. collectible tins and 1.5 oz. gift bags. 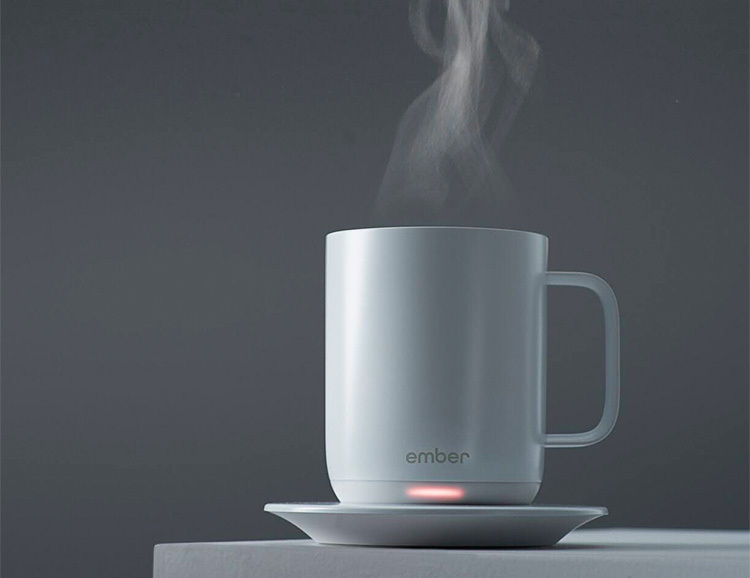 The 10-ounce Ember ceramic mug keeps your coffee and tea at exactly the temp you like it. 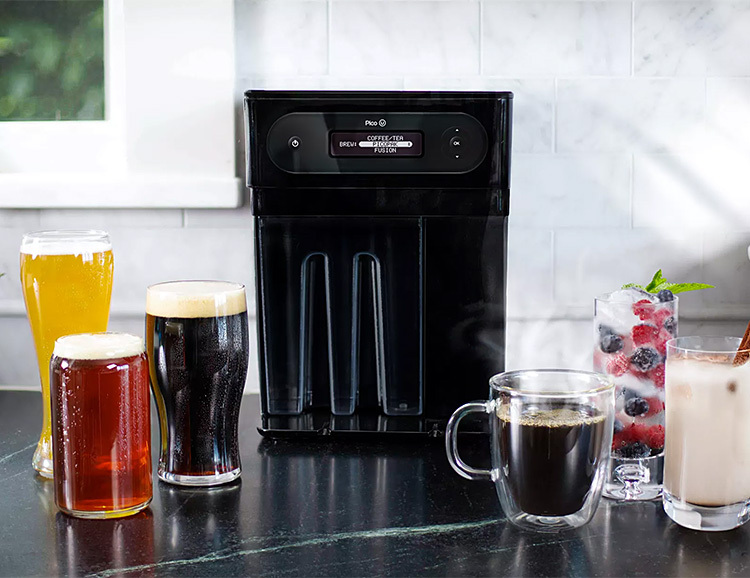 Controlled by a dedicated app, it allows you to remotely control and adjust temps as well as offering presets for your favorite drinks from 120º – 145º. It charges on its ceramic coaster and is IPX7 rated to be fully submersible for cleaning. A complete gourmet coffee system, the Spinn coffeemaker gets its name from the spinning cylinder it uses to force heated water through your freshly ground beans under intense pressure. The result is a café-quality cup at home from a stylish, premium countertop machine you can customize with accessories like an optional bean hopper & milk frother. Available for pre-order now.